More summer stories for a chilly season that originally appeared in the Portland Press Herald/Maine Sunday Telegram in June, July and August of 2014. 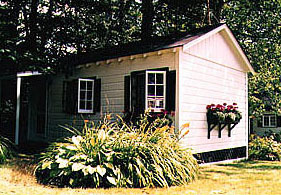 The Maine cottage is making a comeback. Originally designed as small vacation dwellings for working people, cottages now come in all shapes, sizes and retro-refurbs. Whether you’re looking for seaside chic, classic “camp,” a woodland structure to share with friends, or posh romantic getaway, you’ll find a Maine cottage that suits your taste and budget — and they all have their own magic. 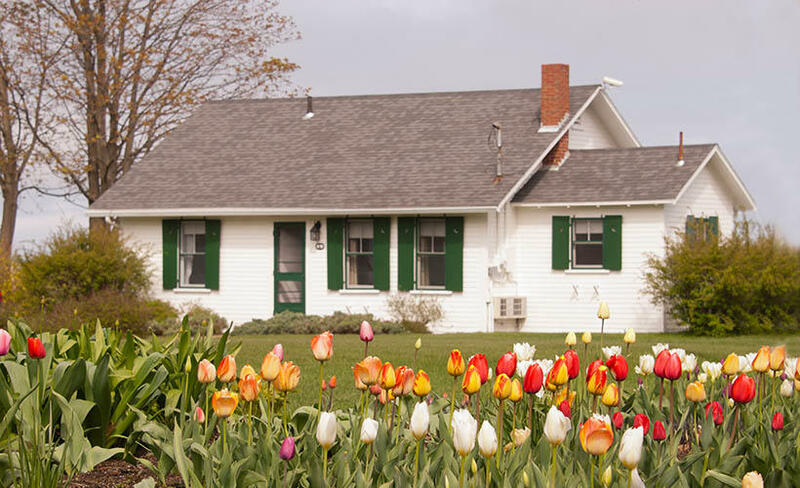 The Dunes in Ogunquit, 19 classic New England cottages with white clapboards, green shutters, hardwood floors and tidal river views, sit calmly regarding the famous Ogunquit dunes. 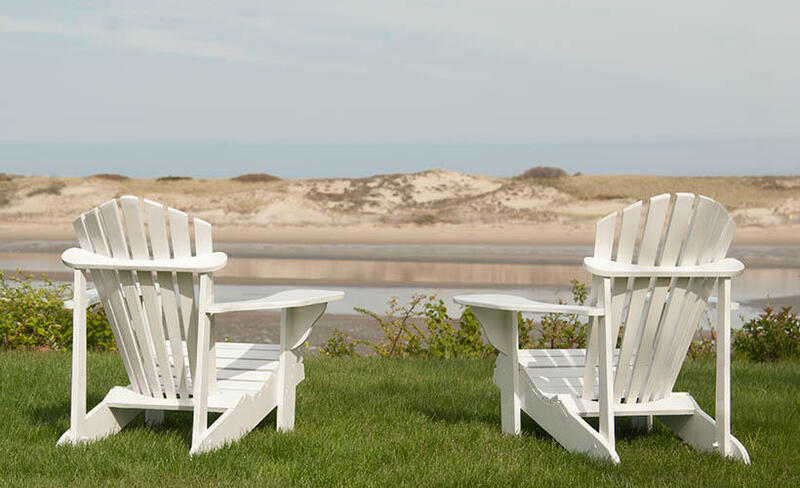 Guests enjoy the beachy landscape from Adirondack chairs and oversized screened porches. On chilly, wet evenings, wood-burning fireplaces rescue soggy spirits and add a touch of romance. If you appreciate a little Green with your getaway, The Dunes is for you. The 12-acre grounds and cottages feature wildlife habitat, linen exchange, LED lights, recycling, and eco-friendly pool. I didn’t see a plastic bottle anywhere. Walkability is also very green; we strolled to the busy center of Ogunquit each day, sometimes twice. The Dunes are also row-able: six small boats stand ready to carry guests to and from beautiful Ogunquit beach at high tide. Privacy is often the ultimate luxury, and sometimes the beauty of a Maine Cottage is the option of dining in. With full kitchen, wine and cheese from nearby Perkins & Perkins and a glowing fire, we enjoy the serenity of our Dunes cottage. These traditional seaside gems are a great place to relax, recharge and and restore — any romance will flourish here. 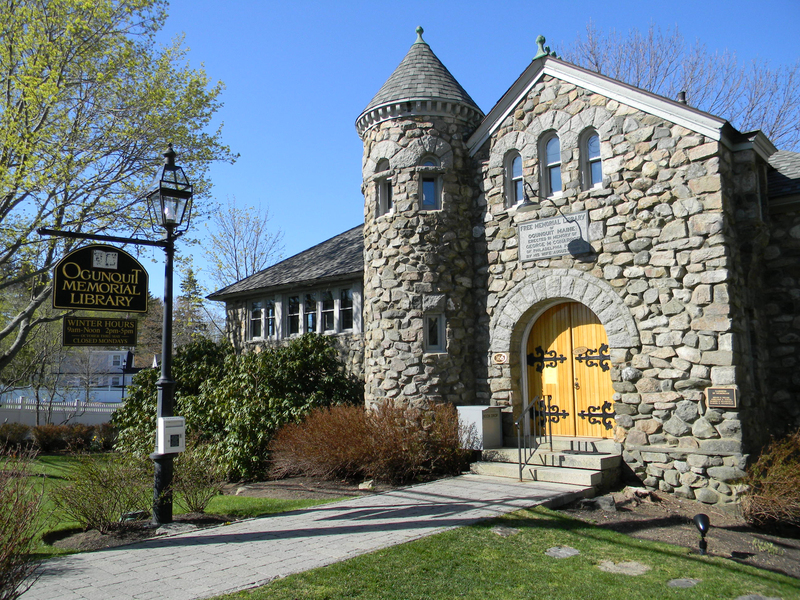 Of course, Ogunquit offers an outstanding bar and bistro scene, a distinguished art museum, plus shops and galleries. Don’t miss Bread and Roses for sweet and savory breads and muffins, or The Village Inn’s late-night happy-hour prices. We visit Bernard Langlois’ statues at the Ogunquit Museum of Art, and walk along Shore Road past the cutest little library in Maine. We stroll back through town to our homey Maine cottage and agree that The Dunes is a genuine tidal treasure. A stone’s throw off Route 1 in Camden, the unpretentious waterfront High Tide Inn and cottage complex rolls down a grassy knoll to a rocky, swim-able beach covered with warm, flat Maine rocks. Waves crash and recede, leaving lacy foam. The rhythm is calming and it’s a serene spot to dream in the lazy summer sun. High Tide’s comfortably rustic cottages are an old-fashioned combination of quilts, wicker and whitewash. 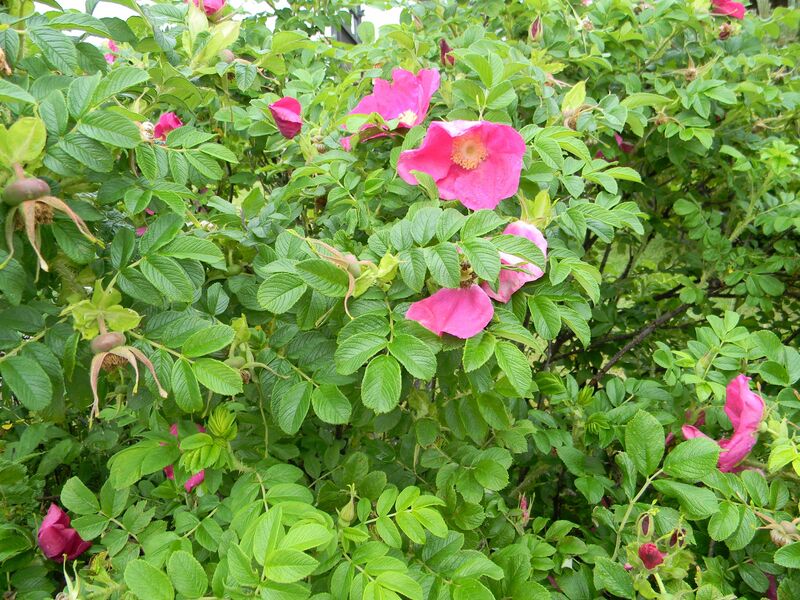 The décor is restrained — not an artificial flower in sight. I watch the light change through mid-century “picture windows” over piney Penobscot Bay, and admire a cluster of lazily turning windmills in the distance. Don’t miss owner Jo Frelich’s legendary morning popovers, or make breakfast yourself in the tiny cottage kitchen whose compact “King” unit holds a small stove, sink and fridge. High Tide is clean and tidy but not precious, and the property is family-friendly. No one will be upset if your child has sandy feet. On a rainy evening, I meet Jo at Shepherd’s Pie, Brian Hill’s gastro-pub in Rockport. A chicken-liver enthusiast, I never miss a chance for Hill’s unique bruléed version. Don’t miss his namesake Shepherd’s Pie, with braised lamb and rich potato — the ultimate comfort food. 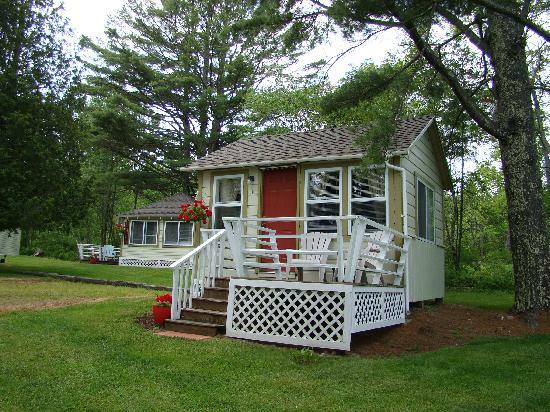 A few miles up the road just minutes from Lincolnville Beach are the petite Bay Leaf Cottages. If you’re looking for upscale accommodations or hip amenities, keep going. But if basic comfort is your goal, these compact-but-not-cramped Maine cottages are cozy, clean and user-friendly. An attractive pond and footbridge sits in the middle of the property, and every small cottage has a porch and “view.” The interior spaces are just this side of tiny, but it all somehow works. Cottage stays include an unfussy continental breakfast in the onsite “bistro” with yogurt, DIY toast, Umpqua oatmeal, and boiled eggs — enough to get you up and on your way. 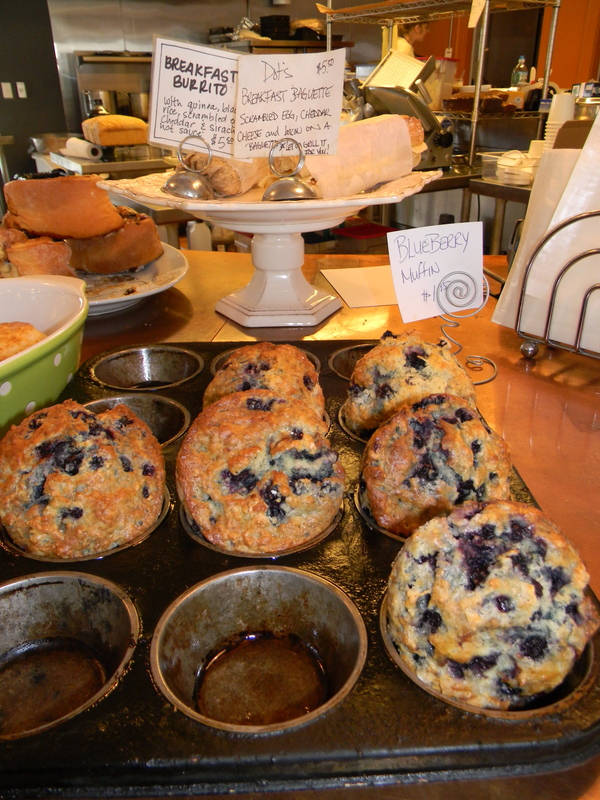 Or splurge up the road at Dot’s with “real” cappuccino, Maine Bear Claws and crazy-good blueberry muffins. Bay Leaf is pet-friendly, and even has a dog-walking trail. There is a special area just for kids, with games, books and badminton. Coming attractions include six new touring bikes for guests. 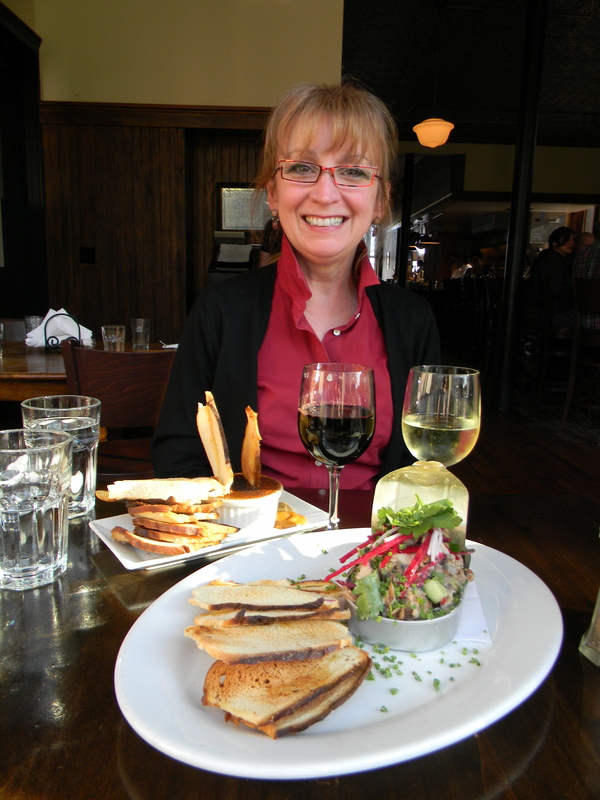 Innkeeper Jane is engaging, knowledgeable, and delighted to share insider tips on the in midcoast dining scene. I took notes — you should, too. 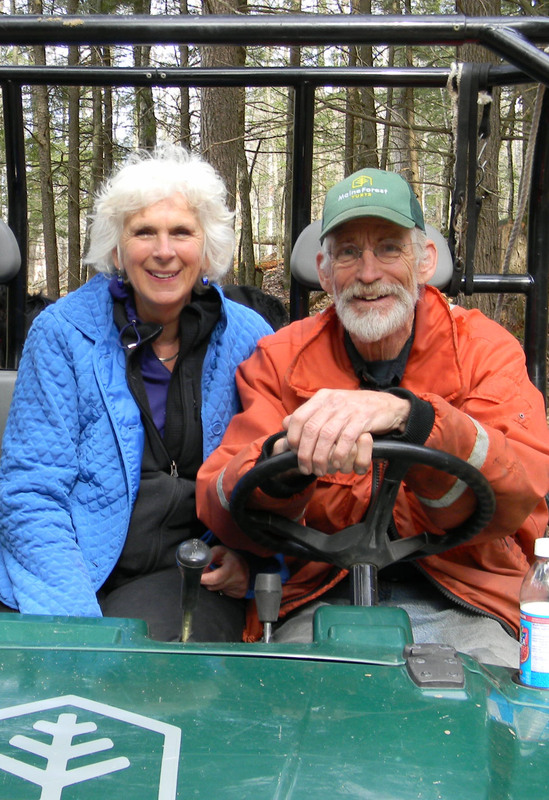 I explored another kind of Maine Cottage on the rambling wooded property of Peggy and Bob Crowley — yes, that Bob Crowley — in Durham. 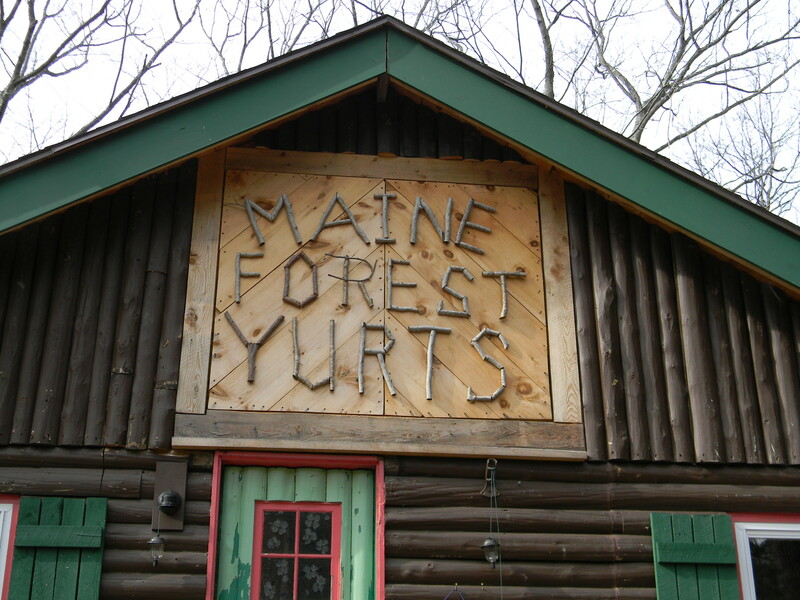 Visitors come from all over to Maine Forest Yurts to snowshoe, cross-country ski, hike, or simply enjoy nature in this pristine woodland setting. 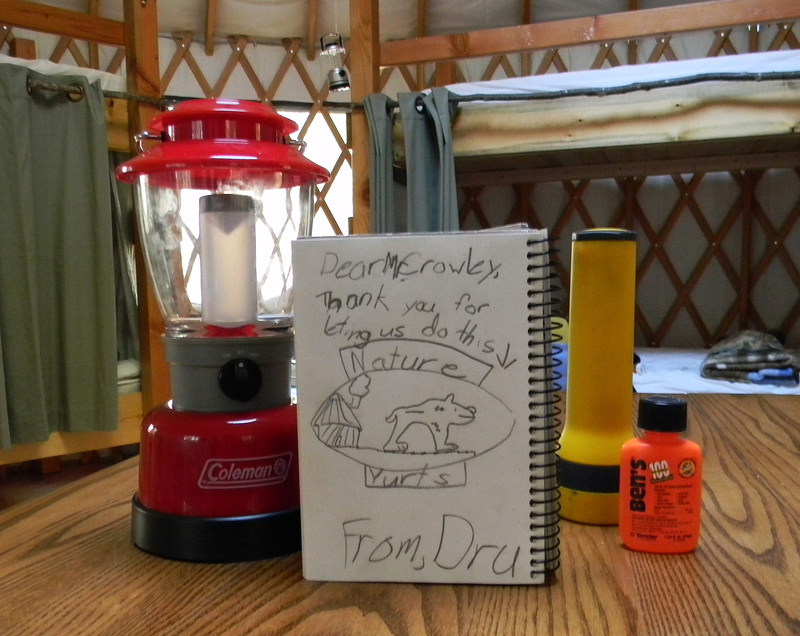 Is a yurt a Maine Cottage? 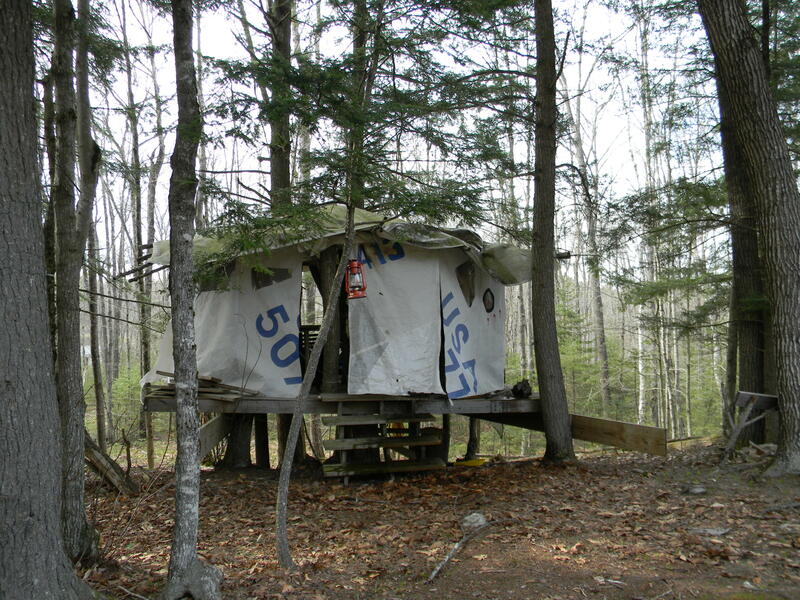 Yes, most definitely, and I can’t say enough about this well-equipped, snug and woodsy “glamping” experience. Our yurt is clean and comfortable, with beds for six. Creativity rules, here, with clever curtains on bottom bunks; drying racks and door handles fashioned from tree branches; and mid-century modern furniture salvaged from the dump (Knoll, anyone?). And then there are the composting toilets. I never thought I’d wax rhapsodic about a toilet, but the Crowley’s windowed woodland outhouses are beautifully designed, with lots of lovely fresh air and majestic forest views. Part of the draw is “Survivor” winner, Bob Crowley, and his lovely wife, Peggy. As I tour the property with this intrepid duo, I am delighted to learn that these unique Maine Cottages “give back” by supporting vacations for veterans and their families. 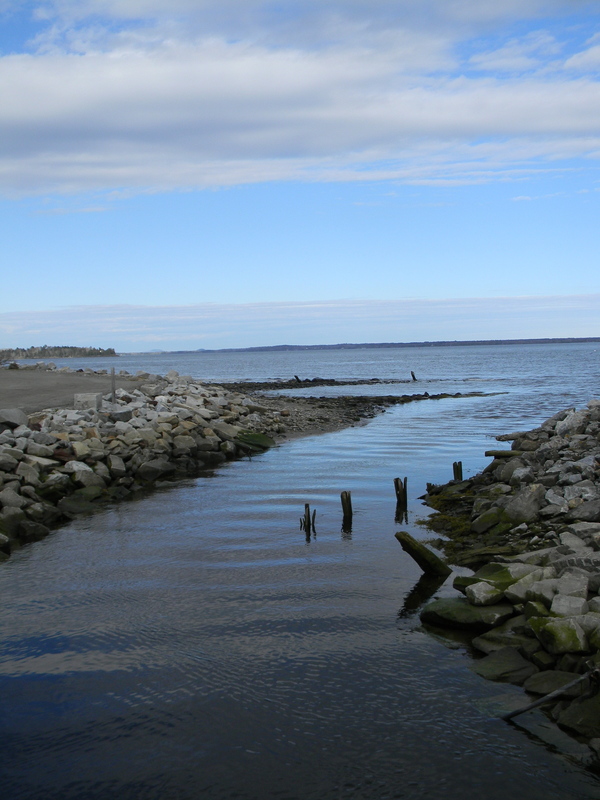 A natural raconteur, Crowley recounts boyhood summers on tiny Stave Island in Casco Bay. Our Ranger tour (part golf cart, part Humvee) is relaxed and convivial, with family dogs Birdie and Hawsey in back. 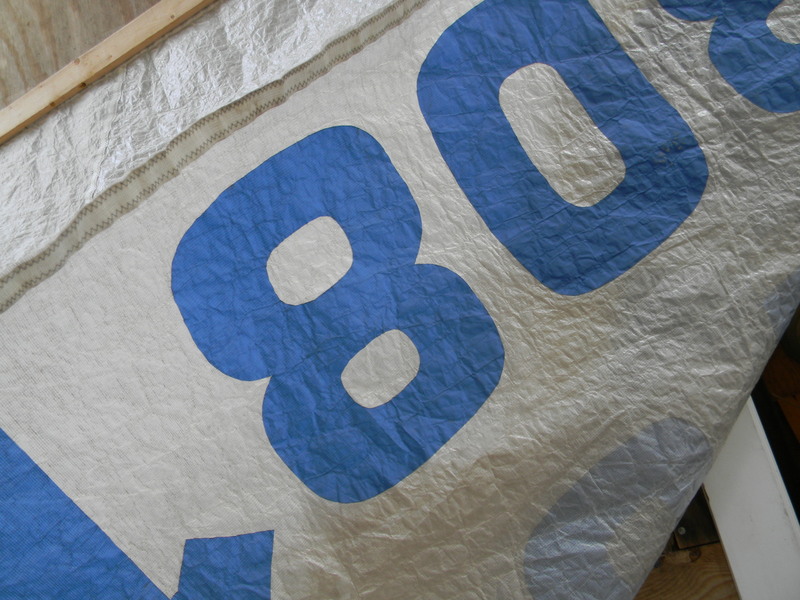 Crowley’s first prototype, the Treehouse Yurt, with its graphically appealing “skin” of recycled sails. This entry was posted in East Coast Travel, Farm-to-Table, Maine Travel, New England Travel, Retro-Travel, Sustainable Travel and tagged Bay Leaf Cottages, Bob Crowley, Camden, Durham, glamping, High Tide Inn, Lincolnville, Maine, Maine Cottage, Maine Forest Yurts, Margolis-Pineo, Ogunquit, Shepherd's Pie, The Dunes, yurts. Bookmark the permalink.